Are you feeling like you want to change your life for the better but have no idea where or how to begin? Maybe some big life events have you wondering who you really are now? Feeling like you need to create some purpose into your life? 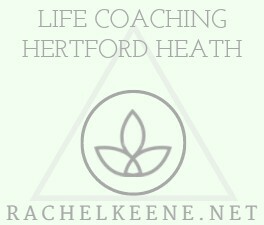 Or maybe you know exactly what area of your life you wish to change but need help getting started? These therapy sessions are where I coach you to self realisation… to help you to see where and how change needs to be made, and to discover or uncover the issues that you need to work upon to move forward fearlessly and confidently in your life. This is an entirely “go with the flow” session where we work together to establish and identify where or even *if* there are areas in your life that need to change, evolve and grow. This therapy will work for you even if you have no idea where or how to begin. We begin the session with a chat about why you feel you’re here at this point. Then we move on to work together to establish what action you need to take and what commitments to improving your life you need to make in order to live your life in a happier and more fulfilled state of being, using exercises to identify your needs. With my guidance you will tap into new levels of honesty with yourself, and we may even use meditation and hypnotherapy techniques if required, for example if there are issues that need to be explored, repressions to be released in order to move forward. This is the first step on a journey you will make for yourself to improve your life… are you ready? 1. Click on the Book Now button below and scroll down to select your chosen service from the list. You will be directed to my online calendar to book your first appointment which is also confirmed by email. 3. I will contact you via email with directions and contact details.